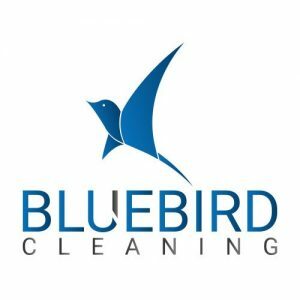 Bluebird cleaning is a locally owned and family operated cleaning business serving the DC metro area. The office is located within the SAME BUILDING as BAM’S Landscaping and is also run by many of the same individuals! You will be in safe hands and know that you are backed by the same 100% customer satisfaction guarantees that BAM’S Landscaping prides itself on. Bluebird Cleaning Inc. offers both residential and commercial cleaning services. Services include basic home/office cleaning, move in/out cleaning, Spring cleaning, one-time cleaning, and event cleaning. Bluebird Cleaning is not a franchise and so you know you can get instant customer service from someone who lives nearby and not a far away call center and the work is performed by a screened and loyal team that is supervised by the owner. On The Spot has built a reputation of being a professional, high quality, customer service oriented company in an industry that is not generally known for such qualities. We take pride in what we do, and it shows through our relationships with our customers and our work. So whether it is a car, truck, SUV, motorcycle, boat, RV, trailer, or plane, we have the equipment and experience to bring it back to it original beauty. Pet Domestic is based in McLean, VA and serves the Washington, DC area. They are an owner-operated small business and not a franchise. The owner was born and raised in Northern VA and is proud to make homes cleaner and healthier one lawn at a time. Pet Domestic is the DC area’s pet waste removal experts! They remove all pet waste from your property and haul it away so you never deal with it again! Gates are triple checked to be locked. Their team cleans weekdays so you come home to a clean and healthy yard. Their clients trust them to keep their spaces clean of pet waste. They are ready to deliver you a clean and safe home for your pets and family. All of their workers pass background screenings and they are also bonded and insured for $2 million. BAM’s Landscaping is pleased to offer all dog owners a special service to give you a cleaner and healthier lawn this Spring. Pet Domestic pet waste removal gives DC residents confidence to use their yards while removing dangerous parasites and bacteria. From just $11.95/visit. Visit petdomestic.com and enter note “BAM 30” to receive 30% off first month’s service.